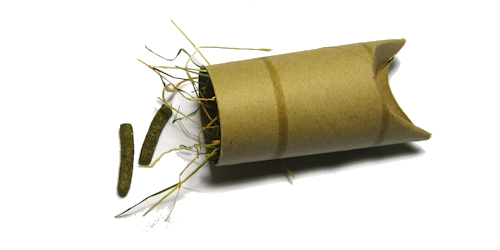 The cardboard tubes stuffed with even more cardboard tubes and cardboard tubes made into rabbit treat balls went down well, so next on the agenda is toilet roll inner tubes turned in to hay parcels. 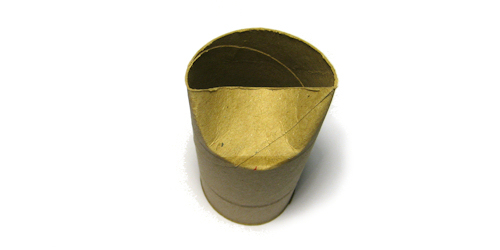 No scissors necessary this time, you just need a cardboard toilet or kitchen roll tube and some tasty hay. You can also optionally add a little of your rabbit’s dry food or some vegetables. I guess fresh grass would work well too but it’s still a bit early in the year for that to be sprouting much. 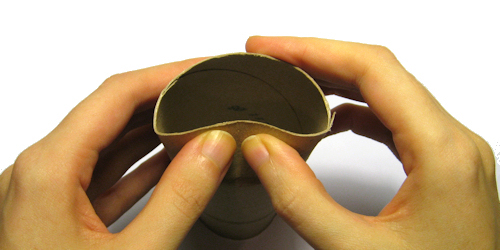 Push the edge of the cardboard tube with your thumbs until it folds inwards. 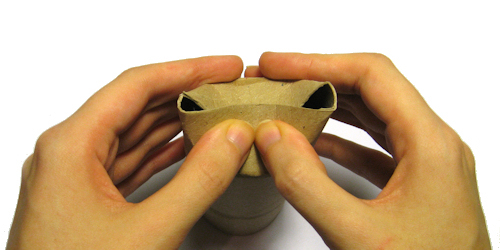 Rotate the tube and do the same to the opposite side to block the end. Finally give the hay parcel to you bunny. I made a slight technical error at this point, I gave Scamp the hay parcel and then found the camera batteries had gone flat. There was just a few wisps of hay left once they had charged so you’ll have to imagine the photo of him eating it or perhaps you could email me one of your bunny having fun with cardboard tubes? I’d love to see them. This entry was posted on Thursday, February 10th, 2011 at 1:24 am	and is filed under Toys & Enrichment. You can follow any responses to this entry through the RSS 2.0 feed. You can leave a response, or trackback from your own site. Kiddo’s here just love them!! Cheap entertainment for sure! We’ll try this and send you a picture in the morning (light). You are so clever! My rabbits alwys make such a mess if i just stuff it. This will give them something to work on. I’ve actually been saving toilet paper rolls since you started all this. This is fantastic! I want one. I’m gonna tell mommy to make me one of these! I gave my bunny plenty of toys and a cardboard tube which she loved but i wanted more creativity in her cage and she loved this! Bit curious at first and worried as she is still very distressed and abit poorly (just got her from a previous owner) but i think by tomorow it will be all chewed up. Aww, I hope she settles in soon. It can take bunnies a couple of weeks to really settle down and get used to the new sounds, sights and smells. Hey my bunny doesn’t really get what to do with it. Is there a way to make him get what to do? I would really appreciate it if you answered this!! Put your rabbit’s favourite food inside, so it’s very tempting. Then for the first couple of times leave one or both ends open so he learns there is something good inside and it’s easier for him to get to. You could also try punching holes in the sides with scissors so he can smell the contents easier and knows there is a treat to get. Thanks for the reply. I will try this tomorrow. I wanted to know what are the tastiest treats for rabbits that will encourage them to go to the toy. What a smart bunny! Scamp throws his plastic treatball in the water bowl sometimes, but this has the opposite effect – they swell up and won’t fall out, and then he gets quite miffed! 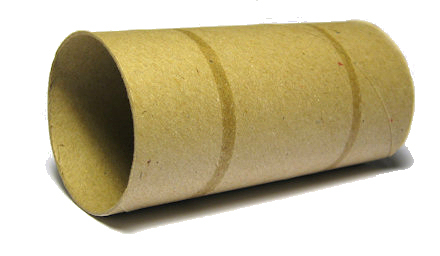 one, or both of my rabbits, ate nearly all of the cardboard tube? Is that ok for them?